China’s Communist Party Tightens Grip on Media, Message - Integration Through Media ....! 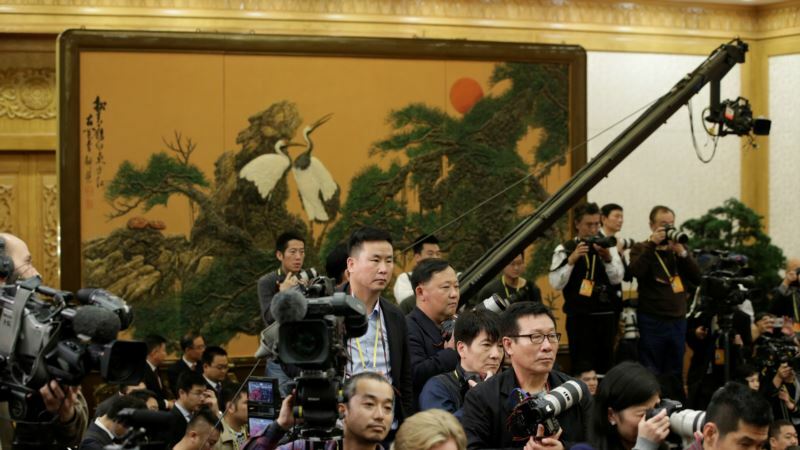 (VOA): China's Communist Party leadership is taking new steps to assert its control over state broadcasters and a regulator for all types of media from movies to TV programs and books. The moves will put the party more squarely in charge as it seeks to improve it’s messaging at home and boost China's image abroad. But analysts argue that such a top-down unified approach may fall short of its intended goal. During top-level political meetings in Beijing earlier this month, China’s president was granted a mandate to stay in office as long as he wishes and the party also approved the creation of what is being called the “Voice of China,” a proposed merger of three top broadcasters — China Central Television, China Radio International and China National Radio — into one entity. It also dissolved the State Administration of Press, Publication, Radio, Film and Television or (SAPPRFT) — a body that oversees everything from foreign films coming into China to TV programs and books. Both are now more firmly under the thumb of the communist party’s propaganda department. The shift to give the party more control is a subtle but significant one for a country where all types of media are already tightly controlled. It also reflects the huge ambitions of China’s powerful leader Xi Jinping and his desire to present a consistent message. According to estimates, China’s party-state apparatus spends billions of dollars each year on media and propaganda overseas. Yet the world’s second largest economy, a country enjoying growing prominence on the world stage, is still struggling to gain a strong favorable view in countries such as Japan, Vietnam, South Korea, Germany and the United States. David Lampton, director of China Studies at the Johns Hopkins Paul H. Nitze School of Advanced International Studies, said the move is in part about branding. “I think party control for domestic purposes principally, but also getting a handle on China’s message in the world and getting leverage over media conglomerates that they want to do business with around the world are certainly objectives as well,” Lampton said. How much employees of the three broadcasters or the general public will welcome the move is unclear. Lampton said he expects Chinese intellectuals and the country’s middle class will chafe under the increasing control. China has the world’s largest middle class population and more and more Chinese are traveling across the globe, outside the country’s great firewall of censorship. Awareness and concern about a wider range of issues is growing. So much so that Xi Jinping has mentioned the issue twice at recent key political meetings as well as the need for the party to quickly adapt. However, adapting by tightening controls over information and the party’s grip on the narrative is not what some analysts believe is the best solution. Nicholas Cull, Professor of Public Diplomacy at the University of Southern California’s Annenberg School, argues the strength of China is not its unity, but diversity. An effort to create a single “Voice of China” is a misrepresentation of the complex reality that exists on the ground, he said. Cull adds that it is also a reflection of the Chinese government’s view that diversity is some kind of a threat and their wish for China to be perceived internationally as just one thing, with one person in charge. “It’s an ironic thing that, really, the fantasy of the Chinese government and the fantasy of the Chinaphobe in the West are exactly the same thing, that China is one single, super-strong thing, and, the reality is so different from that,” he said. Lampton adds that efforts to dilute China’s dynamic range of voices at home is unlikely to increase Beijing’s soft power abroad. Still, the sheer size of China’s expansive media operations overseas and growing coverage of local news globally will be an advantage and challenge that its competitors will have to face. With a combined number of nearly 300 bureaus around the world, China’s state-backed media operations are reporting in dozens of languages. Cull said that he does not write off Voice of China as an international media player and adds that in some places it will be very competitive.